What is a Motor Vehicle or Boat Dealer Bond in Missouri? A Motor Vehicle or Boat Dealer Bond is a type of license bond. The purpose of the bond is to protect the state or governmental entity for certain things, such as the payment of taxes. How Much does a Motor Vehicle or Boat Dealer Bond Cost in Missouri? How do I get a Motor Vehicle or Boat Dealer Bond? We make it easy to get a Motor Vehicle or Boat Dealer Bond in Missouri. Fill out the form above and we’ll get right on this for you. Then we’ll get the Motor Vehicle or Boat Dealer Bond right out to you. Easy. It is important to have an approval from the government before starting a professional or business operation. It’s an assurance to your clientele that your business or professional service complies with the governing rules approved by the government. You’re then protecting your clientele by simply following the government’s regulations and rules. You need a license to prove that you’re operating with integrity and that your items and services are reputable. In connection with obtaining a license to function, you need to know that you may also need to get a license and permit bond. Remember that the government’s regulations and rules are business and strict, as a result it is important to adhere them to avoid any quandaries due to failure to comply. This article will explain all the essential information about the surety bonds. We also include tips on how to get a permit bond. 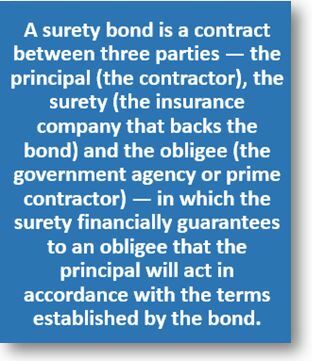 What is a license and permit surety bond? This are the most common bonds required by law prior to beginning a company or professional operation. This is why it is an essential component when beginning a company. If you intend to begin a company or a particular operation in your city to obtain you some profit, you will need a license. First, you need to know the requirements of the government with regards to your operation. The license to function doesn’t just approved your company or professional operation, but also describes the requirements to be followed in relation to your operation. In these bonds, you can find all the limitations of your company. Thus, it helps you avoid the probable consequences of breaking these limitations. If you’d like to obtain a license or permit in Kansas, it’s important that you apply for a license and surety bond. A contractor license bond is one of the major examples of a license and permit bonds. Having a performance bond is essential in order to get a confirmed, quality assured infrastructure project. When you employ a contractor to build a building for you, you will need assurance that he or she will offer you the exact results you anticipate. With the use of a performance bond, you’re assured to acquire an effective project. If the project is not finished, alternatively, you are still confirmed to obtain reimbursed for a particular percentage of the project cost and have another contractor to carry on the project. The amount they will get in case the project fails is stated in the performance bond. To know further the need for permit bonds, here are some of its advantages. License bonds restrict business processes, ensuring that they’re fair and legal. Any company or contractor need to abide by the existing laws in order to run their functions correctly. The government in Kansas will require that each business has the license and permit bond. This enables the clientele to secure their projects. The primary purpose of permit bonds is to ensure the clientele that they’ll receive quality service or project result. Therefore, it’s vitally important for the contractors to make certain that they’ll deliver on the agreed date. If they do, the client won’t suffer any loss. Through the surety bond, the clients are guaranteed of a secured project agreement. Acquiring a permit bond, these days, is very easy to do. If you plan to apply for a permit bond online, here is useful guide for you to follow. In order to get a permit bond, you need to find an approved provider first so that you are confirmed that it is legit. You could use any device with Internet capabilities when accessing online permit bonds application forms. Your application can be processed immediately once you hit submit after filling out the whole form. Follow the guidelines when filling out the form so that you will not have any problem with the application. If the fields are instructed to be filled, make sure to fill them out. After submitting an application, you are going to get quotes. This indicates the amount that you need to pay in relation to the bond you would like to acquire. After making payments, you’ll get your bond. The rates of bonds may vary based on the type of bond that you need to obtain. However, you’ll only be asked to pay specific amount depending on the insured portion of the entire project cost. Instead, you will pay 1% of the entire bond’s worth. The bond serves as your client’s right to sue you in case of non-compliance. This is why you should pay money for a surety bond in behalf of your clients to protect their right in getting a sufficient service or project result. We hope that this article has help you understand further the significance of acquiring a license and permit bond. Just be sure that when you apply for a surety bond online, you have to obtain it from an approved issuing company so that there will be no problems when you process your license to function. See our Missouri Notary Public Bond page here.